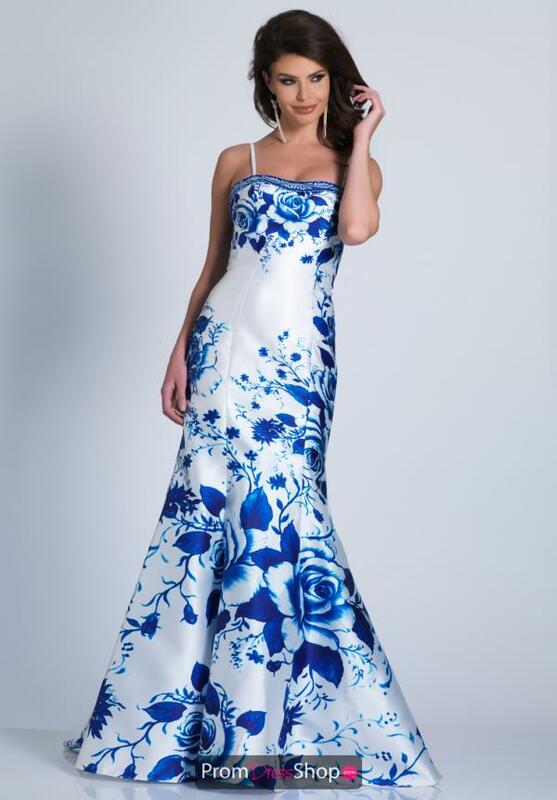 Be bold and rock this vibrant printed prom dress A6042 from Dave and Johnny to your senior prom. This glamorous gown features a beaded neckline on the fitted bodice with spaghetti straps. The bold floral print has shades of blue on the fit and flare long mermaid skirt with sweep train. See more amazing Dave & Johnny gowns at PromDressShop.com.